Continue the programs or fundraising as they exist. Make further investments or increased investments in the programs or the fundraising activity. Decrease funding of programs or fundraising activities. Eliminate programs or fundraising activities. Instead, staff are making decisions not on data, but on “gut feel’ for programs or for fundraising activity. Lack of unified metrics across our sector. Our sector has spent little or no time determining what we ought to measure. Lack of knowledge of metrics. Staff of NFPs lack the knowledge of metrics and, therefore, the data to measure. Lack of tools to measure and report. CRMs, alone, cannot be relied on as tools to measure outcomes. Lack of time and/or energy to report and analyse. Staff put this in the “too hard” basket rather than tackle the issue. Isn’t it time we as a sector work together to come up with common metrics? Also, isn’t it time we explore and embrace some tools in the market that actually assist us to measure and analyse our programs? Perhaps then we can cut out activity which is not working; further invest in activity which is outperforming expectations; and develop new areas for programs and/or funding? 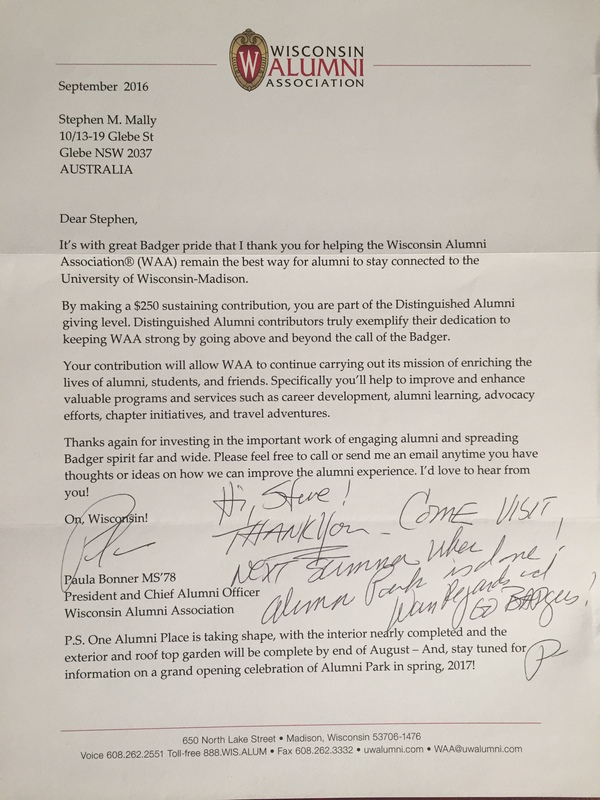 I recently gave a donation to the Wisconsin Alumni Association (WAA), which is the alumni association for my alma mater – the University of Wisconsin. The gift is a small token of my appreciation for the way the university set me up for success in life. It is also my way to recognise the terrific work the WAA does to mobilise its alumni base and to keep us engaged with the University of Wisconsin. WAA could have sent me a form letter to thank me for my contribution. Instead, I received a very personalised thank you letter with a hand- written note from the CEO of the WAA, Paula Bonner. The note invites me to come back to campus next summer when the WAA Alumni Park is finished. The WAA and Paula Bonner know how to continue to engage its base of active Alumni who “bleed Wisconsin red”. Whether you work for a university or a non-profit charitable organisation, each of us can learn from this type of donor care or stewardship. It might seem simple and, even, basic. But, personal outreach holds high value for your constituencies. 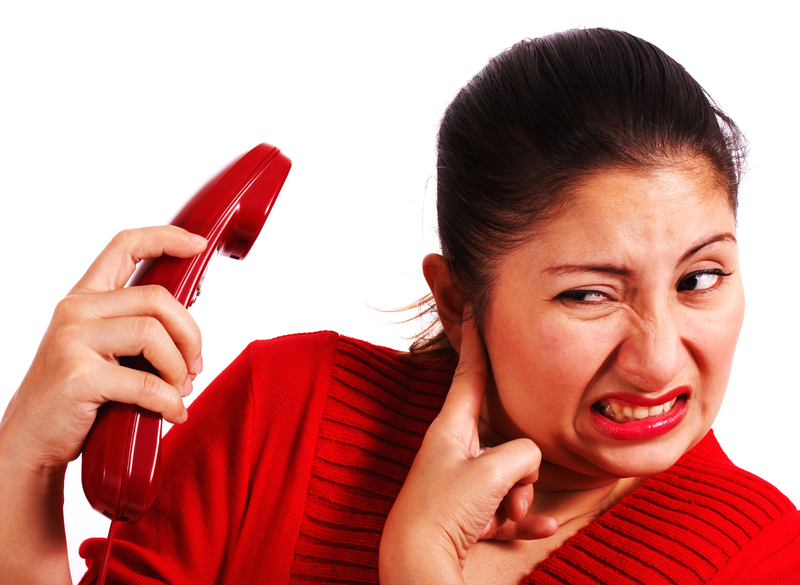 Staff of not for profit (NFP) organisations appear to fear complaint calls. No one loves them. But, I believe complaint calls are a good thing. Complaints via telephone calls, letters, Emails, and social media give you something to respond to and to action. Wouldn’t you rather receive a complaint than have someone agitated and no tell you. Those are the types of people who tell ten more people about the situation. Ensure the proper personnel are in contact with the complainant. Contact the person making the complaint in a more personal manner than the complaint was received. i.e. If the complaint came in writing, call the person. Attempt to resolve the situation and maintain the engagement of the party. The situation may often times be “turned around” for the benefit of the complainant and the charitable organisation. Document the complaint in your CRM, tracking the type and subject of the complaint for later analysis. Review and analyse complaints on a monthly basis. Improve internal processes to reduce and eliminate complaints accordingly. A recent article in the Sydney Morning Herald highlighted NSW Fair Trading Complaints Register and how the likes of Groupon, Valuebasket.com.au, Grays Online and NRMA were able to address complaints, reduce them, and no longer appear on the list. Whereas Ray White and Anytime Fitness appeared amongst the most complained about business. 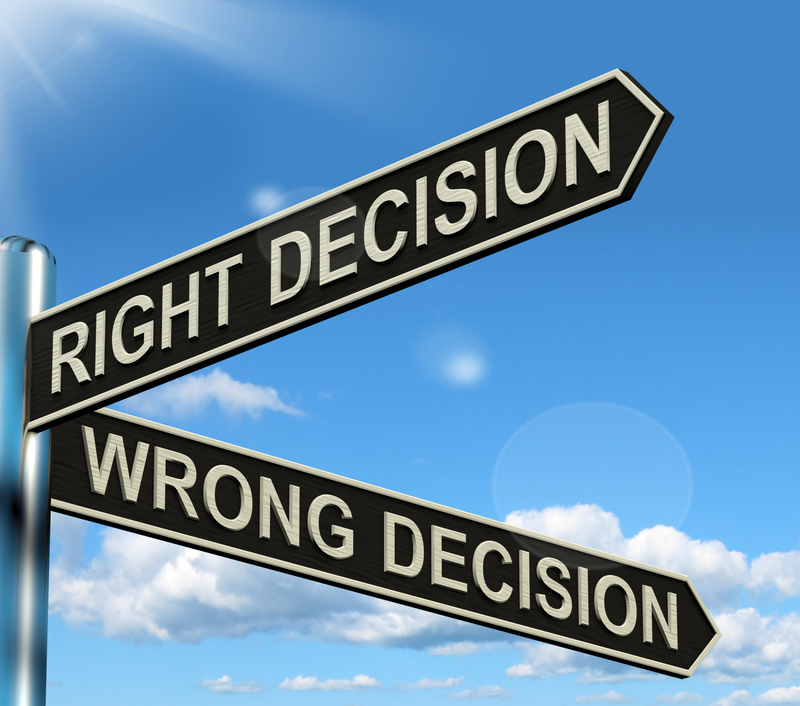 The NFP industry lacks a list similar to the NSW Fair Trading Complaints Register. In some cases we are lucky there is no actual complaint list for NFPs. That said, shouldn’t each NFP have a process in place to address complaints, reduce complaints, so we are ensuring a register does not become necessary? By definition, a social enterprise is an organisation that applies commercial strategies to maximise improvements in human and environmental well-being – this may include maximising social impact alongside profits for external shareholders. Over the last few weeks, I have encountered a couple of social enterprises I believe are worth introduction and worth you visiting. The Two Wolves Community Cantina, is located in Glebe NSW. Community-oriented and driven by a strong volunteer culture, The Two Wolves is a place to find good company and creativity, engage in conversations, and support the communities in which The Cardoner Project’s volunteers serve. The Cardoner Project is a Jesuit and Catholic youth volunteering hub that supports global partner organisations, predominantly within the Jesuit network. The cantina serves lunch and dinner weekdays only. The food is tasty, the service is superior, and the prices are right. To date, Two Wolves report raising more than $35,000 for various programs. Buffed is a network of shoeshine stands based in major cities across Australia. Founded by the Wise Foundation in 2011, Buffed aims to provide business opportunities to individuals seeking asylum, refugees and people whose employment outlook is limited. Buffed has support from our partners who are the Bank of Queensland, University of Queensland Business School and Virgin Australia. The mission of Buffed is to create a social enterprise business that generates a positive social impact within communities and valued outcomes across Australia. The vision is to secure futures for individuals through small business ownership. I learned about Buffed when I met a man named Steve working the Buffed stand in the Virgin Lounge in Sydney. Not only did he provide a superior shoeshine, but his personality was contagious. Two Wolves Cantina and Buffed are two great social enterprises. Support these and others you come across. Not only do you get a good product, but the money you pay for the product does some good. I’ve talked about standing out in the letterbox in several past blog posts. It’s really the key to successful direct mail. Your piece has to stand out amongst all the postal mail one receives. If the letter does not get opened, it is not going to get a response. Salvation Army stood out in my letterbox last Friday by being the first charitable organisation to send me their Christmas appeal! 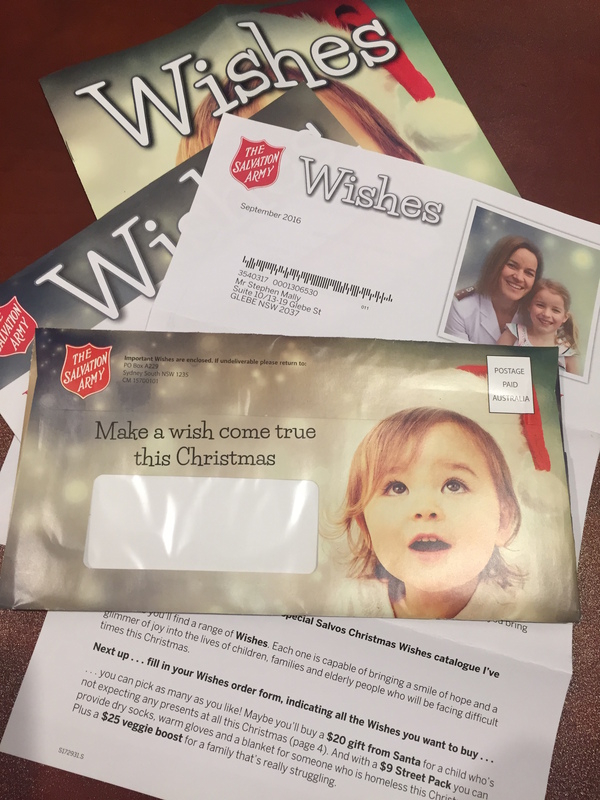 The appeal is a Christmas Wish catalogue, which is full of items I can purchase to change the lives of those Salvation Army supports. Once purchased, I will receive a gift card and envelope to give to a person on my list to share the joy of giving. A simple concept and something that stood out in my letterbox on the last day of September.